@tomoqv In my case I tried installing an Android app of my municipality to pay for street parking and it asked for this same thing. In this case it makes sense because it needs location, I believe. In any case I don't think GPS will work inside anbox any time soon. @wgarcia We have an identification app used for authentication purposes with banks and authorities, which doesn't do anything else than asking you to punch in your 6-digit pin. It still asks for Google services to run - crazy! There is mebay an option Gobalt some guy that was working on solution for BlackBerry when the where support Android apps make a tool to remove Google Play Services from a apk, i have try that back to that time and it worked for me, but you need Windows to run the app, so i can not test it now. FYI, none of those were able to remove anbox. I guess it needs to be wiped completely? @joe Yes, I have tried that as well. The placeholders of Android apps stayed on Home screen, but all the files were gone. Ended up restoring the saved TWRP backup. You may be able to work around the Google Play services requirement by installing microG, but I'm not sure if the Anbox image has signature checking patched out. 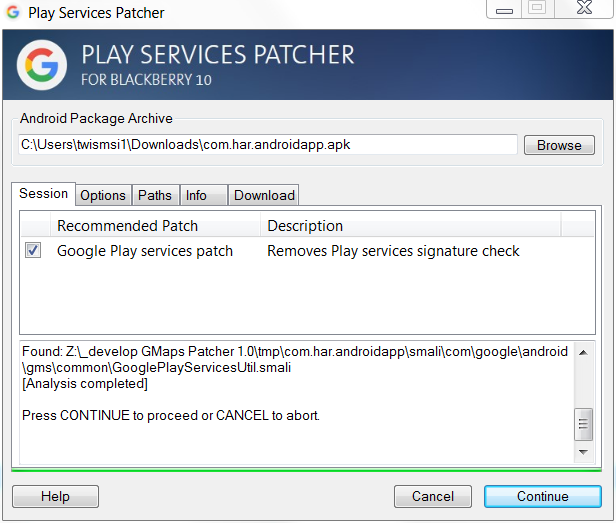 So you may need a tool that will do signature check patching to enable it to be used in place of Google Play. If I try to add an account nothing happens... any ideas? I tried the Play Services Patcher that @Xray2000 posted above with one apk so far, but it couldn't be patched for some unknown reason. It went through the analyze process fine and suggested the patch, which then failed. "I would avoid aptoide like the plague btw. Tons of pirated and dubious apps."